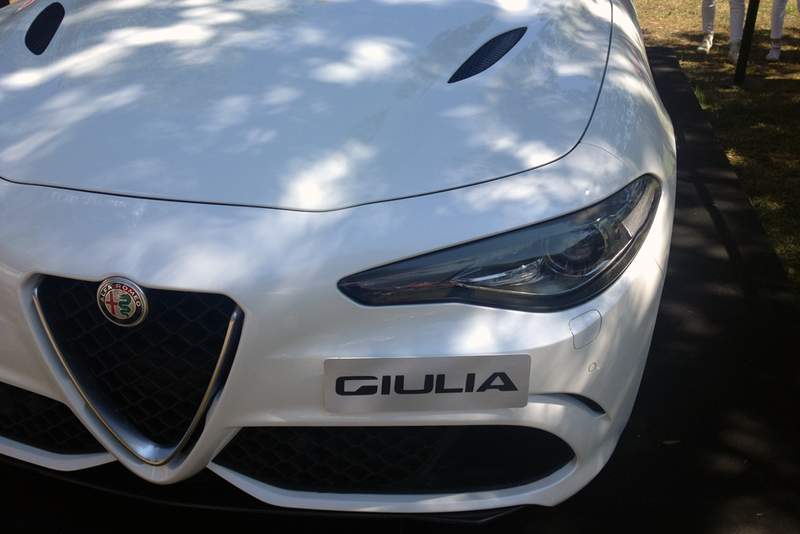 Home » The Alfa Romeo Giulia in real life, what do you think? 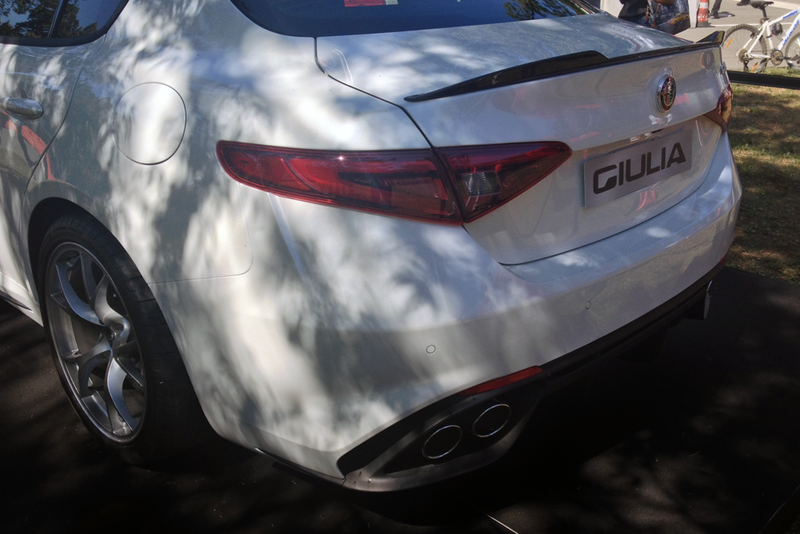 The Alfa Romeo Giulia in real life, what do you think? 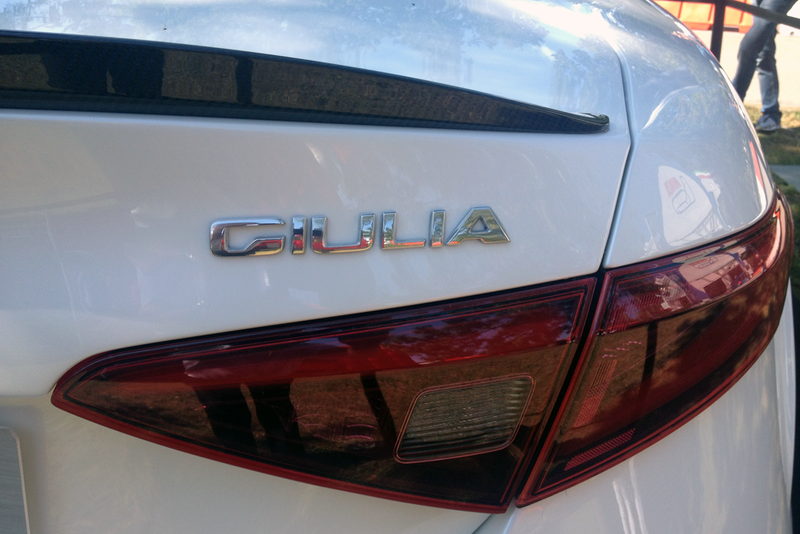 I recently had the opportunity to see the new Alfa Romeo Giulia in real life. Of course this was the top-of-the-line, 510 horsepower QV version, which is Alfa’s M3- and C63-killer, with a Ferrari-based engine. This will be the first rear-wheel drive Alfa Romeo sedan since the 75 and much of the future of the brand depends on the success of this model. 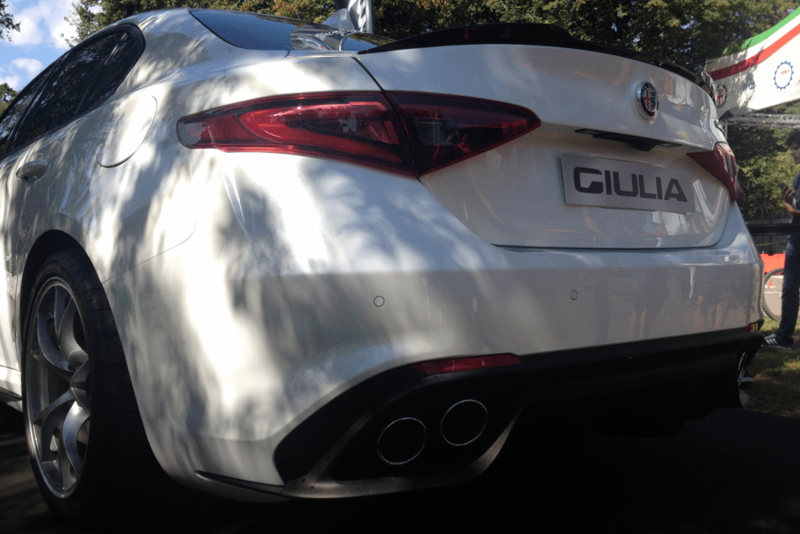 We already know what Kriss thinks of the Giulia, and as I’m a true Alfa-fan, you don’t need to guess much to know what I think of it. Yes, it looks less original than the 156 and the 159 did, but that’s not necessarily a bad thing. The 159 wasn’t a commercial success and the perhaps too aggressive design, especially of the front-end may have had a hand in that. Of course it also didn’t help that the model was way too heavy and came with engines sourced from General Motors. Especially for the V6 that was a large step backwards from the beautifully sounding and looking Alfa Romeo V6 that was last used in various sizes in the 156, 166 and GT. As I said, a lot depends on the Giulia being a homerun for Alfa, and that’s why it makes sense to play it safe with the design. Actually, I don’t think they’ve been playing safe, but they have been borrowing some rules from the Germans’ playbooks on how to make a generic car design stand out from the crowd without being too offensive for the general public, and they’ve done a great job at it. In real life, the Giulia looks every part as handsome as any other model in the premium midsize segment, and the QV has some really cool touches to make it look as threatening as an Autobahn-cruiser should. The design of the sedan, even if you take away the spoilers, diffuser and air ducts of the QV model, is clearly a rear-wheel drive design, with a short overhang in the front and pronounced hips around the wheel arches at the rear. 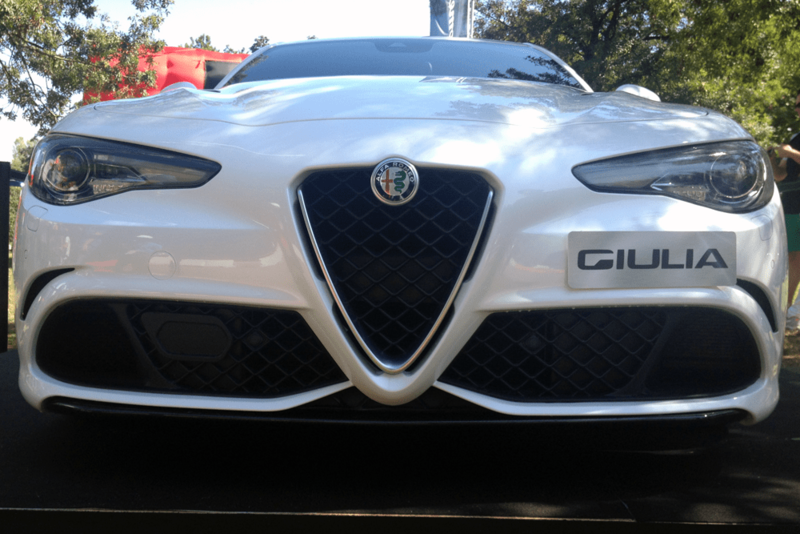 In my opinion, they’ve finally managed to make the new Alfa Romeo “face” look aggressive enough, as opposed to the puzzled look both the MiTo and Giulietta make, and the happy face the 4C makes. Unfortunately the car was locked, so I couldn’t take proper pictures of the interior, but I had a peek inside and wasn’t disappointed with the design of the seats and dashboard. Then again, Alfa has always known how to make a beautiful interior. In fact, looking good has been a priority over functionality for the Italians, something they must’ve improved now in order to appeal to the masses. I love this car and I’m glad Alfa is finally getting the right ammo to fight in the premium segment again and to offer an attractive alternative to the middle-of-the-road German designs. I also love the fact that they’ve made it rear-wheel drive and that they’ve spared no expenses on making it a real Alfa Romeo, instead of cutting corners and use some existing engine and other important components from the Fiat-Chrysler parts bin. Will it succeed? I most definitely hope so, and I even think they can. Sergio Marchionne isn’t stupid, and he wouldn’t thrown € 5 billion down the drain if he didn’t think it would pay off. Besides, he’s already pulled of a few great comebacks with saving Fiat from bankruptcy and now the American part of the company, and the recent revival of Maserati. Too bad he needs to sacrifice Lancia, but there simply isn’t room for two Italian premium brands and he’s right that the Alfa Romeo brand is the strongest of the two worldwide and has the best chances of survival. 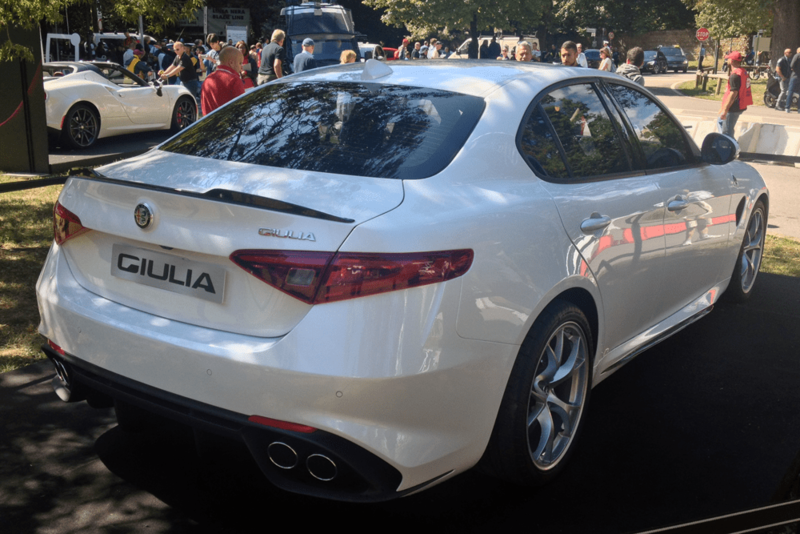 The Giulia is the first step in a new model offensive developed to put Alfa back on track towards 400.000 worldwide sales, five times as many as last year. 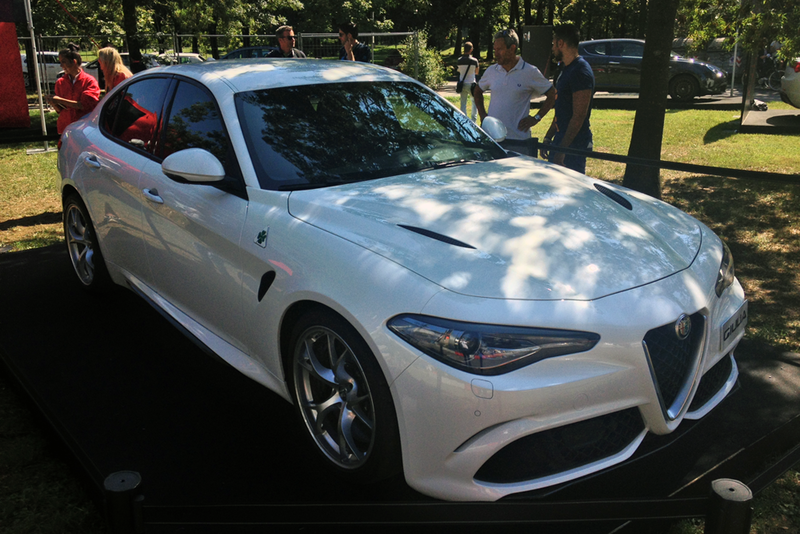 What do you think of the Alfa Romeo Giulia? I agree with you, Bart. 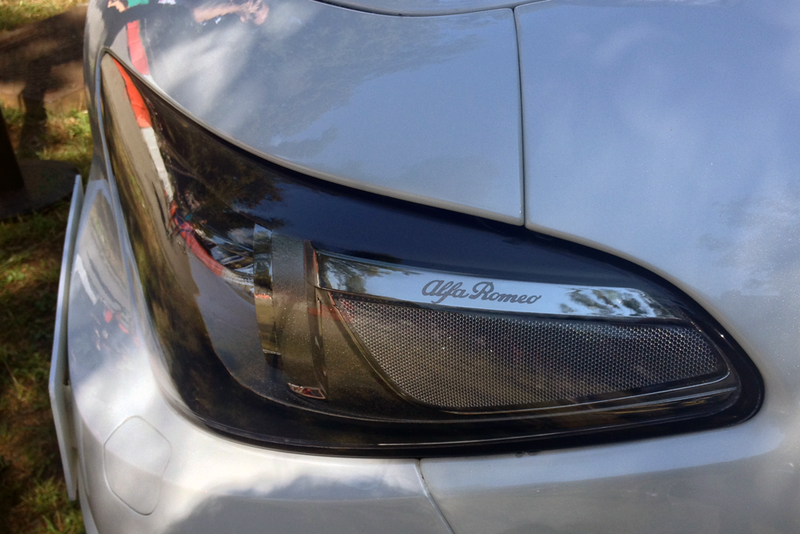 Even, I think that many elements that seem to be inspired from other cars are actually taken from the Alfa historic style, such as the design of the rear end, or the headlights. Also, the mechanic is excellent and probably best in class. I can’t wait seeing it live! 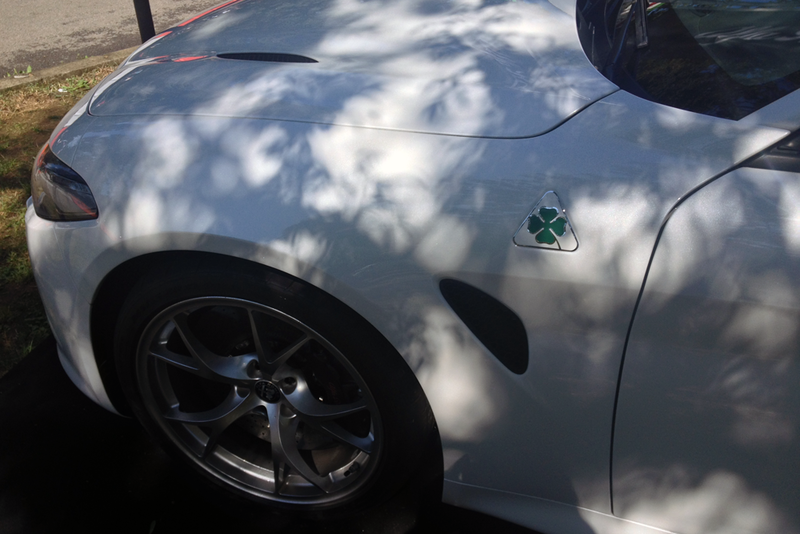 Being a great Alfa fan, I hope to see many on the streets, too. It would be great to see what they do with the base-model cars. BMW shift lots of 318s because they are good enough for the money. 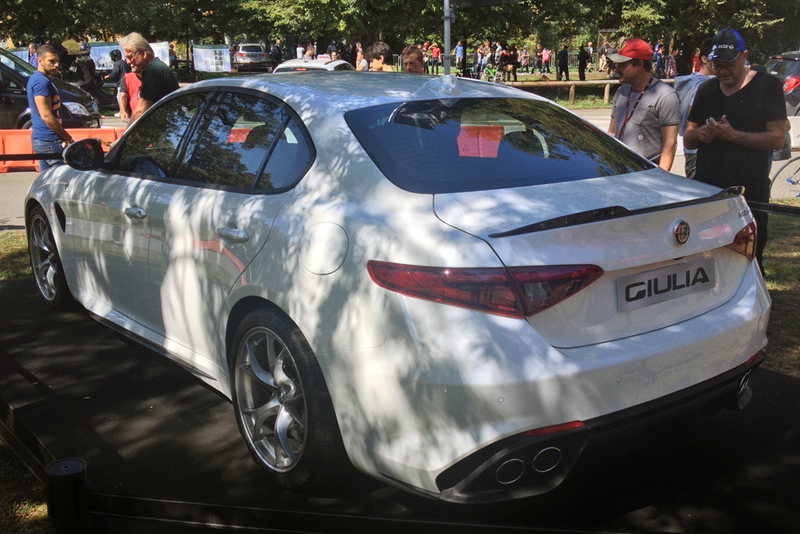 Will the 4 cylinder Giulia be competitive with similar boggo cars? Also, Jaguar are weighing in with the XE and maybe split the market for non-German small saloons. How the English and Italian cars compare to each other will be fascinating. After such a long wait for this model, I cant help but be very disappointed. I hope it works for Alfa, but as with the owl-faced Mito, and the rather handsome Giulietta, this TransPacific mishmash of styles will peak and then fall quickly as all Alfas before. 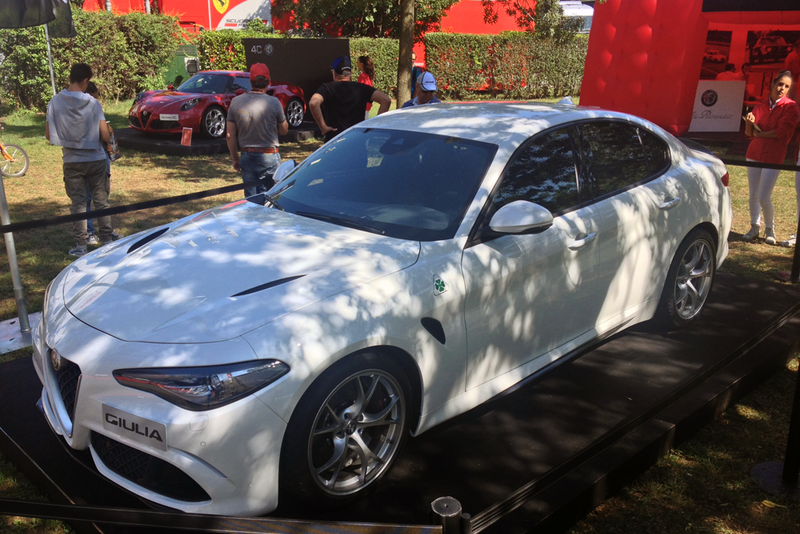 You’re right, I meant to say “the first RWD Alfa Romeo sedan since the 75”. I’ve edited the text, thanks for being so sharp! This Ferrarifiat Giulia has nothing to do with Alfa Romeo except wearing AR badges. Besides it looks en profil much like a BMW 3 series, showing how afraid Fiat is to choose a genuine own style and layout like Alfa did many times in the past. The front looks rather like a Chinese lantern face, not much elegance in there as well. However, if you are fond of the BMW 3 series, chances are you will love this “Alfa” and I guess many will do so. 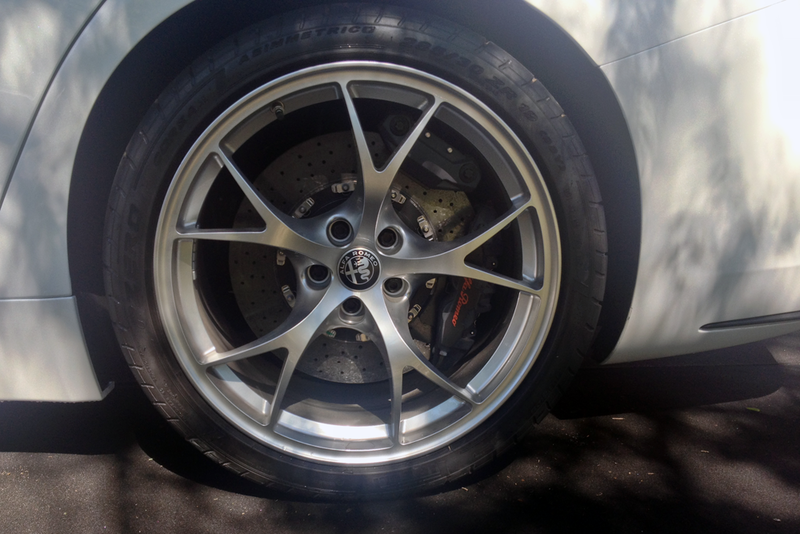 In order to become successful, the basic versions will need to be on par with the 3 series, from a pricetag point of view as well as regarding performance and reliability. Otherwise the Nuova Giulia will end up like the 8C: a bit of buzz and nothing else.